8 Luxurious Bagwatis To Buy On Sale 'Coz Zindagi Na Milegi Dobara! Let's face it, we all love handbags much like our fave celebrities but can't always afford designer and luxury brands like them. Heck, we're anyway quite careless with the bags that we have right now. It almost makes us doubt if we really deserve the realms of luxury. But don't worry! You don't have to kill yourself at work and starve yourself for an original MK bag. All you need to do is put your savings to good use and cash in on the amazing sales on your favourite luxury brands. Happiness is just a tap away when these #LuxeForLess bags are up for grabs at such low prices. 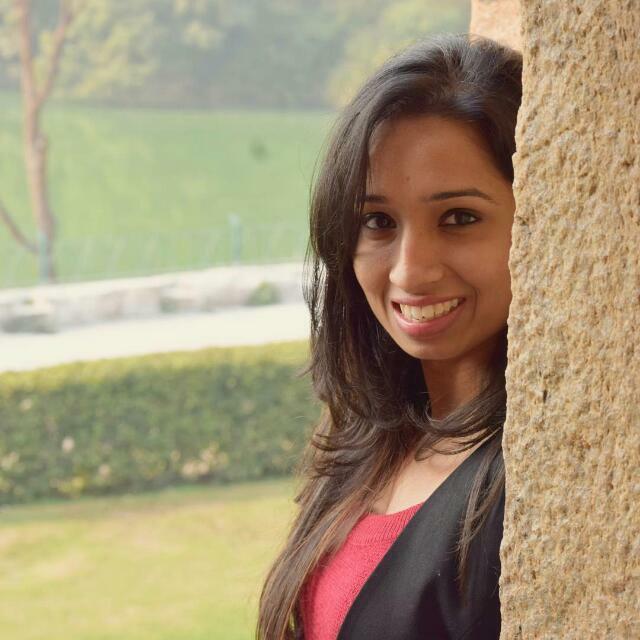 Here are our top eight handbags that are as luxurious as The Antilla. When a brand like Guess is on sale, you make the most of it. This super spacious shoulder bag will fit all your everyday essentials as well as your budget. And the price you are getting it for, no one would be able to guess right! 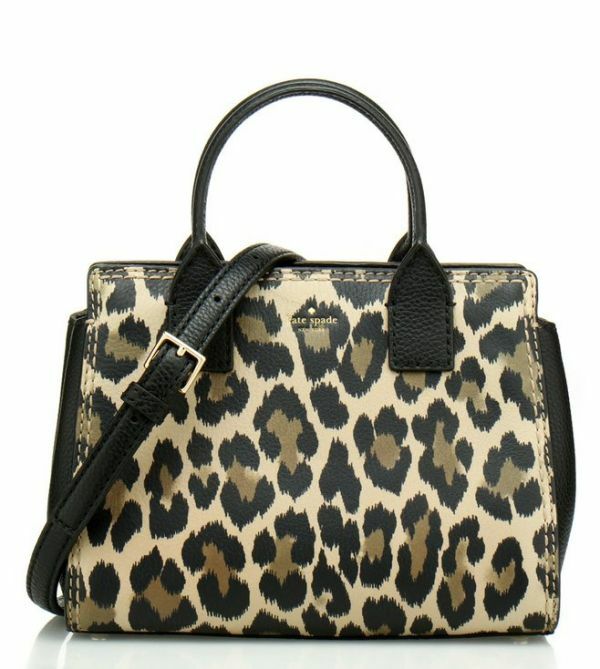 POPxo Recommends: Coffee Brown Printed Shoulder Bag (Rs 6,999) by Guess is available at flat 50% off. A brown bag is a wardrobe must-have and I'm sure you know that already. Get your hands on this leather handheld bag with an attached sling and make the office a happy place. POPxo Recommends: Brown Solid Leather Handheld Bag (Rs 7,199) by Da Milano is available at 40% off. For the cool girl vibe, here's a chic backpack that will take you from work to the world stylishly. The best part? Your boyfriend won't be embarrassed to hold it for you when you're too tired. It's unisex! 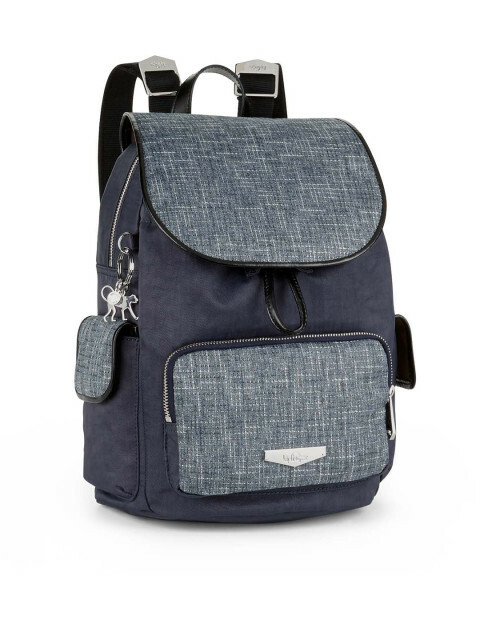 POPxo Recommends: Unisex Blue Backpack (Rs 9,539) by Kipling is available at 40% off. I like big bags and I cannot lie. You other brothers can't deny. That when a girl walks in with an itty-bitty waist and a black bag in your face... I could go on but you get my point, right? Show the world that baby's got bag with this fantastic Furla in black. POPxo Recommends: Black Leather Shoulder Bag (Rs 13,400) by Furla is available at flat 60% off. Speaking of fantastic bags here's a classy little black wallet from Aigner that doubles as a sassy clutch. You almost never find this brand on sale. So... you know! POPxo Recommends: Black Ava Neat Leather Zip-Around Wallet (Rs 14,999) by Aigner is available at 40% off. Michael Kors is that brand that needs no introduction. Every fashion girl has have had a desire to own something MK at least once in her life and now that there's a sale going on, why not? 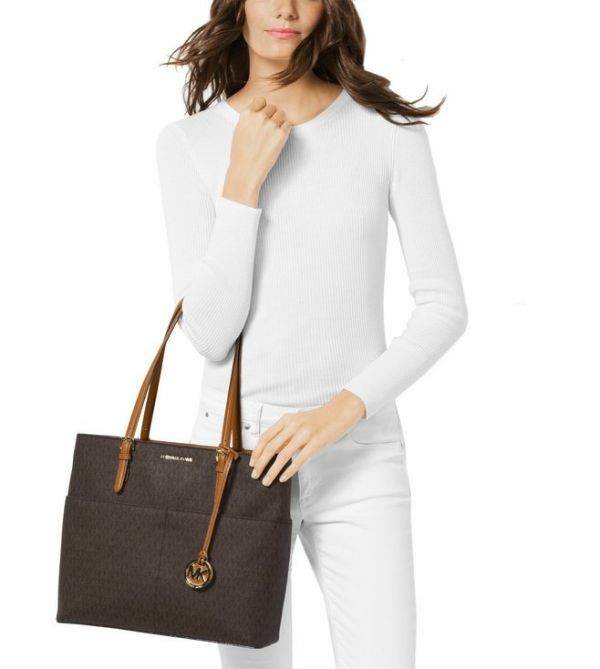 This signature MK brown tote will be perfect for you. POPxo Recommends: Brown & Olive Bedford Large Tote Bag (Rs 15,400) by Michael Kors is available at 30% off. The iconic designer Kate Spade may have passed away but she left a fashionable legacy behind her. Here's one statement handbag from her collection that is sure to make heads turn. POPxo Recommends: Multicolour Lake Small Satchel (Rs 17,995) by Kate Spade is available at flat 50% off. 8. Do You Travel Coach? 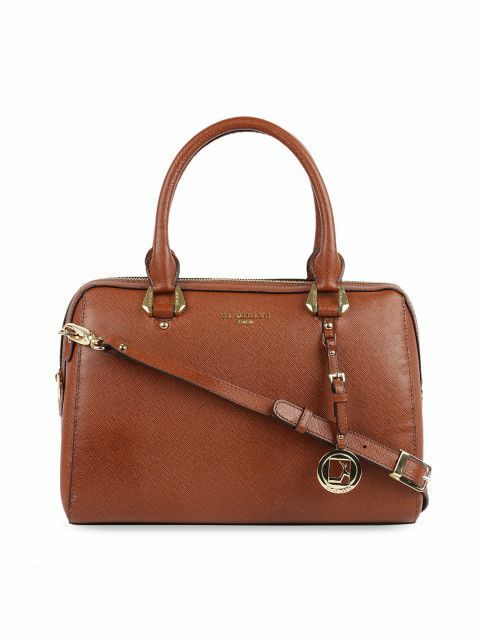 Last but not the least, a Coach satchel bag. This wine coloured studded handbag is that accessory that you take from the boardroom to the bar, from meetings to martinis. At a price like this, it's a freaking steal, ladies! 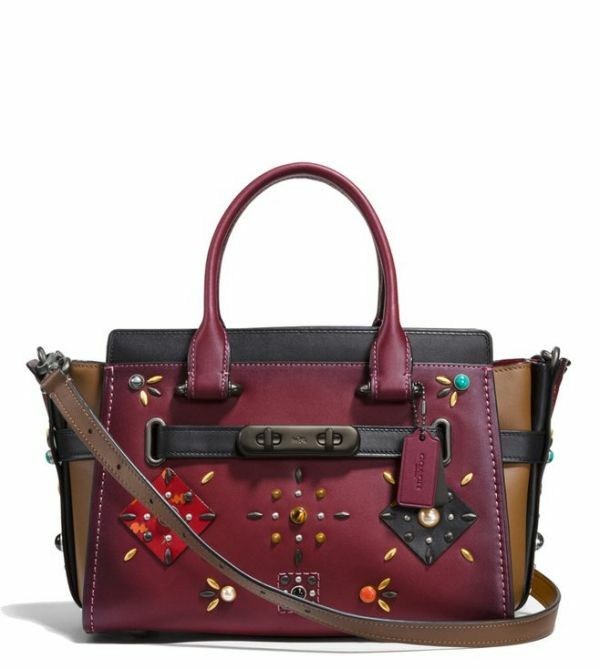 POPxo Recommends: Wine Swagger 27 Satchel (Rs 42,300) by Coach is available at 40% off. These handbags are ought to be bought! So, what's your luxe buy of the month, ladies?